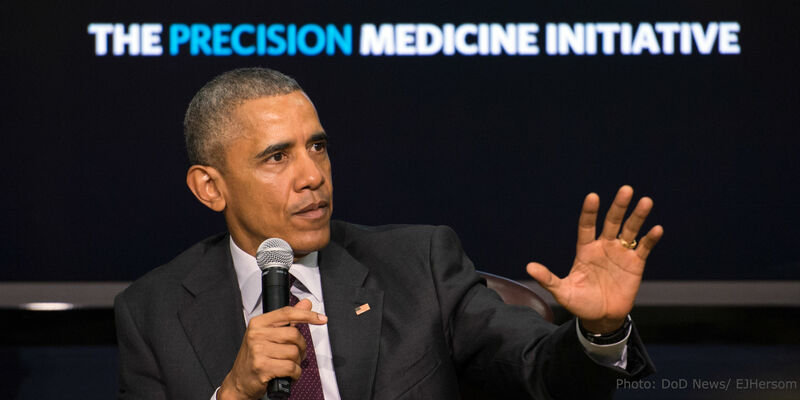 Last year, President Obama proposed an outline for the Precision Medicine Initiative (PMI), with the intention of empowering patients, researchers, and healthcare providers to work together towards the development of highly effective personalized care. Since then, the initiative has received broad support across key stake holders, from academic and research institutions to healthcare companies and government agencies. But a small minority of questioning voices have also been present. Among these contrarian views, a recent article in the Scientific American cites a number of paradoxical examples where expensive drugs or procedures, customized for genetic make-up of patients, have performed no better than simpler and standardized methods that are also extremely low cost. The article questions whether the initiative to develop more effective and affordable solutions might lead healthcare to become even more expensive. Is PMI a potentially doomed effort? Most precisely diagnosed diseases are, in fact, not uniquely personal. We see over and over that diseases of which we have precise understanding do not have personalized treatment methods. Instead, we cure these diseases by simple and standardized solutions that are low cost. Bacterial infections are cured by taking antibiotics. Many diseases caused by viruses are prevented via vaccines or treated by drugs targeting the viral mechanisms. Conversely, personalization of treatment often occurs in diseases where we do not have a good understanding of what is causing the disease. The history of gastric ulcers provides a unique perspective into diseases that used to be treated with personalization and are now treated with precision medicine, thanks to advances in diagnostics of real causes and ability to eradicate them. For more than 100 years, gastric ulcers were thought to be caused by an over-abundance of acid in the stomach leading to the emergence of a huge industry. Billions of dollars were spent on drugs that minimized the production of acid. Millions more were spent advertising diets that lowered stomach acidity. Since acid levels vary from person to person, these solutions required constant adjustment and customization. Unfortunately, controlling acid levels was ineffective for most ulcer patients, because more than 90% of stomach ulcers were in fact being caused by bacteria. Since the discovery of the H. pylori bacteria in early 1980s, most gastric ulcers are now effectively treated using low-cost antibiotics. Without precise understanding of the cause and progression of a disease, we tend to focus on treating symptoms. Symptoms vary from person to person, and alleviating symptoms does not cure the disease. Because some symptoms are shared by many diseases, chasing symptoms can lead to wrong conclusions regarding the cause. Another problem is that the market innovations that transform acute diseases into chronic ones is much larger than the market for drugs that transform chronic diseases into acute ones. Today, most of the drugs and devices we use to treat diseases allow us to live with the diseases, instead of curing us from them. While these products form multibillion dollar industries, the market for products that actually cure the diseases is much smaller. Symptom-focused care industries can become so big that they’re unable to change, even when the right solution emerges. Unlike precision medicine, personalized medicine can be extremely time-consuming and costly. Sophisticated genetic analysis of cystic fibrosis patients, for example, has led to a symptom treatment that costs $300,000 per year and is effective for less than 5% of the disease population. It becomes clear that relying on personalization without understanding the root causes will likely lead to expensive solutions that do little to eradicate disease. A national initiative should not be based on such a costly, myopic approach–especially when a time-tested and proven method of precision medicine already exists. Rather than misuse the term “precision” to advocate on behalf of personalized medicine, the PMI should reflect and encourage the true meaning of precision medicine: a precise standardization of treatment based on understanding the root causes of disease. Spencer researches disruptive innovation in the healthcare industry. 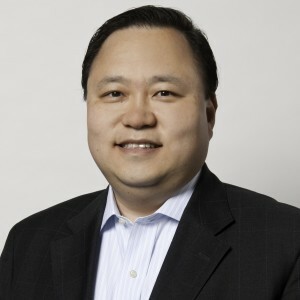 He has over 15 years of professional experience working with U.S. and international healthcare enterprises, most recently as an equity research analyst covering medical technology companies.